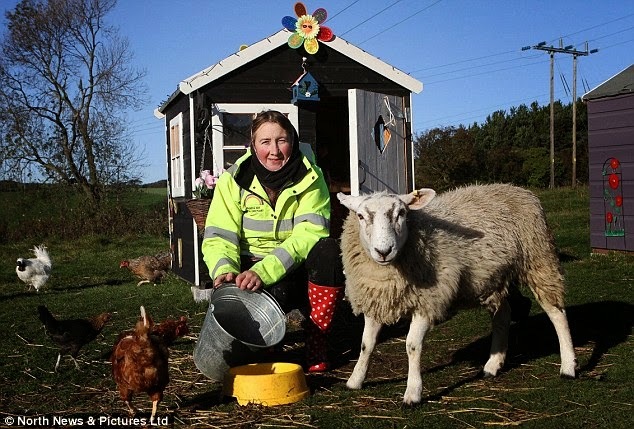 Bailiffs moved in last week, with dogs to remove Paula from Milk up Bank farm, which was sheltering 350 animals at the time, Paula Campbell has run her farm as Rainbow Ark Animal Sanctuary for many years, encouraging visitors and school parties to learn about the animals living there. There have been ongoing problems with the mortgage because an assessor had valued another property wrongly, however Paula had stayed in touch with the financers Redstone Mortgage Company, and has contacted the ombudsman, and she has done everything she could to keep Rainbow Ark running and her animals cared for. When the Bailiffs arrived with dogs Paula Campbell collapsed and was admitted to hospital, Paula was told that if she didn't leave the farm she would be sectioned. Several days later together with her son Paula was allowed back into the farmhouse where they barricaded themselves in, while Paula was inside the water was cut off so no fresh water was available at the farmhouse, an engineer from the water board attempted to enter the farm to restore the water supply but was turned away by security. Bailiffs spent the nights employing scare tactics to intimidate Paula and her son. “K9” security firm blocked the right of way through the farm and refused to allow supporters to deliver water and medical supplies to Paula at Milk Up Bank Farmhouse. After six days Paula Campbell,was told she could collect water and was ushered off the property still maintaining that the eviction is illegal and that she did not want to leave her property. Paula says she will continue to fight for justice. The case is under appeal and Paula has an injunction to stop Bailiffs damaging or destroying any more of her property. It doesn’t take much digging to find that Redstone Mortgage Company was fined £630,000 in 2010 by the Financial Services Authority for their poor treatment of some of their customers. The over valuation of the first property is a fraud that property value assessors seem to be committing up and down the country as a way of allowing developers to step in and purchase property cheaply. “K9” the firm of bailiffs employed have behaved unlawfully at several points; closing of the right of way brought them to the attention of Durham Council who advised that the right of way must remain open. Police aiding and abetting bailiffs from K9 though refusing to protect Paula’s human rights have once again proven who they work for. Things are not at all as they seem at Milk Up Bank Farm, so perhaps a little more digging is needed. "..Proposed Development ERECTION OF 1 No. 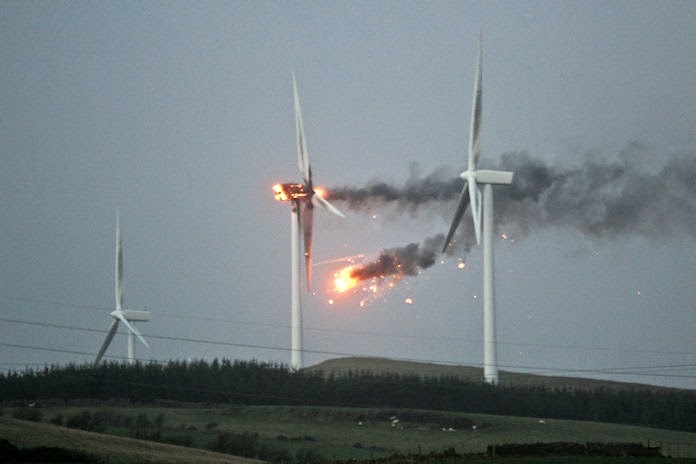 50 MET MAST TO GATHER WIND SPEED DATA TO ASSIST THE OAKENSHAW ASSOCIATION TO ASSESS THE VIABILITY OF A SINGLE OR TWIN TURBINE COMMUNITY WIND POWER INSTILLATION FOR A PERIOD OF 12 MONTHS (RESUBMISSION)"
Would apparently need to use Paula’s road to develop and Paula was refusing access. There may be other plans afoot but this situation certainly needs looking into very carefully. If as Paula Claims the eviction was unlawful then it seems someone has a vested interest in taking her property. This planning application will cause a nature conservancy area on Paula's property to be destroyed. There is a worldwide land grab going on at the moment, ordinary people are being evicted from their properties on tenuous and unlawful grounds and police are continuing to aid and abet bailiffs acting illegally. Paula Campbell is everyman as we struggle through these troubled times, all she wanted was to live quietly taking care of the animals she has such an affinity with. The world of big finance crashed into her peaceful Durham sanctuary and took everything, but this will be all of us as our lives, in turn are destabilised by outside influences, as our rights are eroded and as “developers” cast an eye over anything we own or aspire to own. I don't think anything on this blog is true or accurate . In fact it's so wrong it's laughable . WWW.justiceforgunner.wordpress.com. And you are aware I suppose that the lady you are supporting us in fact herself an avid supporter of the EDL . Funny that you condemn racism yet support a would be racist !!!!! "All she wanted was to live quietly taking care of these animals"
If only it was that simple. Firstly for years this woman did not pay her mortgage, whenever the mortgage company approached her for payment she highlighted her plight in every news paper she could by saying "please don't let my animals die, they will be put to sleep". 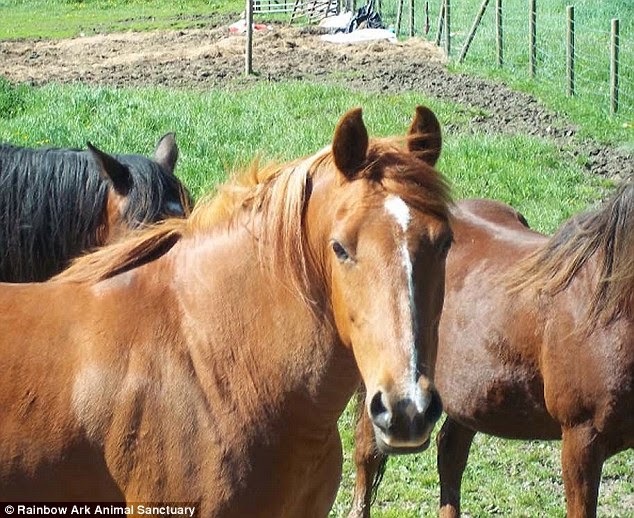 Secondly, although Rainbow Ark Sanctuary may have started off as a good place for animals to live out their lives in the last few years it turned into a horrifying back yard breeding rescue. The animals which came out of there were in appauling condition. Thirdly, last ditch effort to regain sympathy lets tell everyone they want my land for access. This is completely untrue and just deflecting from the real issue of animal abuse, gaining money from the animals and a lack of funds to pay the mortgage on a monthly basis. ...this is part of a "smear campaign "
In face what is happening is part of a land grab, the local "community association have been paid a LOT of money and Paula's land was needed as part of the deal.. Residents Agenda Items requested through the Clerk. on the development of Sustainable Oakenshaw. legal agreement with the Landowner. The aim is to provide an annual income for the village. years, followed by £40,000index linked for the next ten years. management of the project and the benefits it will bring to the village if successful. here we go again, 'abused 100's of animals' big fat lie. Almost two thirds of the 350 when to a sanctuary in Norfolk,known for its campaigning against neglect and abuse, and reported no health issues,140 guinea pigs and rabbits over a third had just been taken in before the eviction from a breeder and where in a state of neglect and some pregnancies. Paula was not responsible for the state they were in, she SAVED them. 25 ferrets were fine and healthy, so if she was neglecting the guineas and rabbits, surely the ferrets would have been neglected to? Which leaves a handful of cats and a couple of dogs with issues you would find in any rescue any day of the week.Two dogs were pregnant, not ideal, but neither is it abuse, and some of the animals were not neutered,when she re-homed them she would do so on the agreement the new owner would neuter them, which is a practice followed by even some of the rescues that have been accusing her. As for the EDL, it was one post on her FB page from way back, she was naive at the time, that was all, but what sort of person trawls back through someones FB page to find something to purposely discredit someone with, if they are so sure they have evidence of abuse, then why do all this? Why not let the proper authorities deal with it? This lady saved the lives of thousands of animals, with no complaints till after the eviction when this smear campaign started. She is a despicable liar .She has publicy claimed she doesn't know the woman who set up the original go fundme page.LIAR , that money was for transporting the animals out of that cess pit and that is exactly what it was used for! If people would just google her name they would see as far back as 2008 she was fighting off eviction and begging for money to pay her mortgage.There is no smear campaign , people just want to make sure she is never able to set up again.